If you were injured at a hospital in the Florida Keys, then you should consult with a Florida Keys hospital accident attorney. Depending on the type of accident and injury, strict time limits may exist. If you fail to adhere to the time limitations, you could be barred from making your claim. 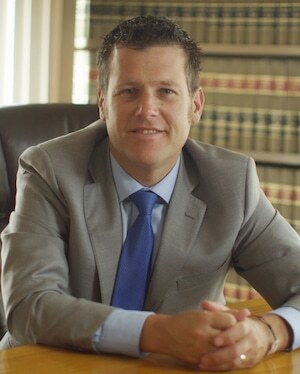 At the Wolfson Law Firm, our Florida Keys hospital accident lawyers are available to help you. We will never charge for a consultation. Call us at (305) 285-1115 if you have any questions about your Florida Keys hospital accident and injury. People go to the hospital all the time. Whether they are there because they had an accident or an illness or for any other reason, people expect to get adequate treatment to get them back on their feet again. A Florida Keys personal injury lawyer will tell you to head to one of these major hospitals for treatment when you have an accident, but if something happens to you while there you will want to contact a Florida Keys accident lawyer to help you get the compensation you deserve for your injuries. We understand that when you go to the hospital, you do not expect to end up in worse condition than when you showed up. As a Florida Keys accident attorney, we have seen all of the things that can go wrong at a hospital. One of the serious injuries that can occur at the hospital is a death due to a mistake by the medical staff. If this happens, you may be entitled to file a wrongful death claim against the hospital. Medical malpractice and negligence in the Florida Keys can also happen at the hands of the medical staff. Other accidents that can occur at hospitals in the Florida Keys include car accidents, slips, trips, and falls. Hospitals are liable for the mistakes of their workers, so if something happens to you when you have sought out treatment at one of these hospitals and ended up injured as a result you need to contact a Florida Keys personal injury attorney. We can help you to establish whether or not you have a claim against the Florida Keys hospital for your injuries. We will thoroughly investigate the incident to see if the hospital was negligent and if you have a claim against them. We can then evaluate your injuries to see what compensation you are entitled to based on additional medical expenses and other factors. 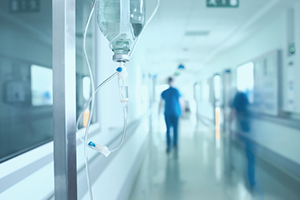 It can be a real tragedy when you have an accident at a hospital, especially if there is severe injury or death caused by the negligence of a Florida Keys hospital. This can put a huge financial strain on your family, meaning that it can be disastrous for the future of your family. If something happens to you, you need the peace of mind in this stressful situation that things are going to be okay. It can be overwhelming to handle these matters on your own, which is why our Florida Keys hospital accident lawyers are here to help as much as we can. At the Wolfson Law Firm, our Florida Keys injury attorneys are available to help all victims of negligence who were injured in hospitals, urgent care centers or medical clinics in the Florida Keys. We serve throughout thee Florida Keys including Key West, Key Largo, Islamorada, Stock Island, Plantation Key, Marathon and Summerland Key. Our bilingual Florida Keys personal injury team are standing by to help you. Call us at (305) 285-1115 and let’s discuss your Florida Keys hospital accident.